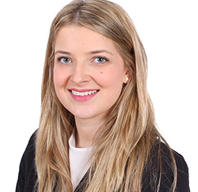 Bronach has developed a practice in all areas of family law and is now at the end of her second six months of pupillage during which time she has been representing clients in all areas of public and private law cases and financial remedy matters. She has accepted a tenancy in chambers starting in October 2018. Prior to pupillage Bronach was a paralegal in the family department of a Legal 500 firm mainly working on financial remedy and private children cases including cases with an international element. The role included drafting a range of legal documents and advising and representing clients in court.